A new version of Dozzzer is now available. It is completely rewritten from scratch in Swift 3 and completely redesigned, with a couple new features throw in. The new music mode plays your selected songs right in the app. It no longer relies on Apple’s music app for playback (which was kind of a hack), which means it no longer has to display the volume bezel while it’s running and it works much more reliable now. However these improvements come with a drawback, namely it can no longer play DRM protected media (Apple Music), not yet downloaded songs and it no longer updates the playback position if you listen to a podcast. That’s where the first of the new modes in Dozzzer 4 comes in. The external mode works essentially the same way as the music mode in previous versions: Dozzzer runs in the background, reduces the system volume and send a stop command to the music app when it’s done. The second new mode is called soundscapes. Dozzzer comes bundled with soundscapes like “Mountain Creek”, “Thunderstorm” and “Campfire”. These are not just single audio files played on repeat, instead they’re using tens of different sound files, that are layered in multiple tracks on top of each other and played randomly. All in all Dozzzer uses 90 different file for 6 soundscapes at the moment. You can try a different soundscape everyday for free or unlock all soundscapes forever with a one time purchase. Download Dozzzer 4.0 now for free. I’m proud to announce that I’m bringing two more of my apps to the iPad. These updates are of course free for everyone who bought the iPhone app already. Thank you for your support, I couldn’t have done this without you! The first update is for my music player replacement app Audious. The iPad interface feels just like the iPhone app, helping you discover long forgotten songs in your music library with it’s gorgeous interface and large cover art. 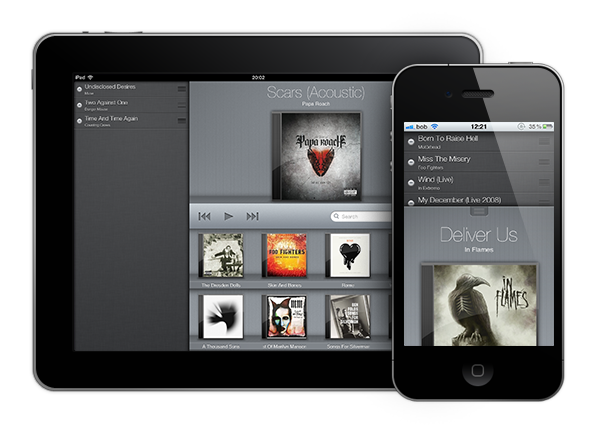 The larger interface plays it’s strength when displaying play queue, play view and library one a single screen. Plus: New in this update is full iTunes Match support. 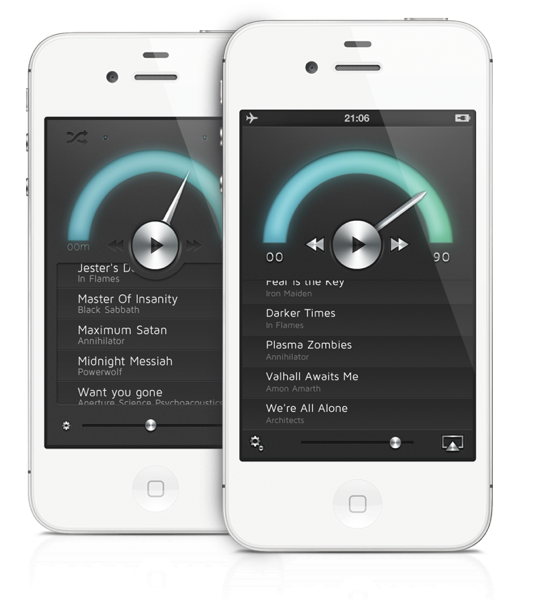 You can turn it on in the settings; Otherwise Audious will only display songs available locally. You can find the update on the iOS App Store. The second app is the Apple featured app Dozzzer, that let’s you drift asleep to your favorite tunes – now even better with the iPad’s larger speakers. You can get it on the iOS App Store as well. I present Dozzzer 2.0. 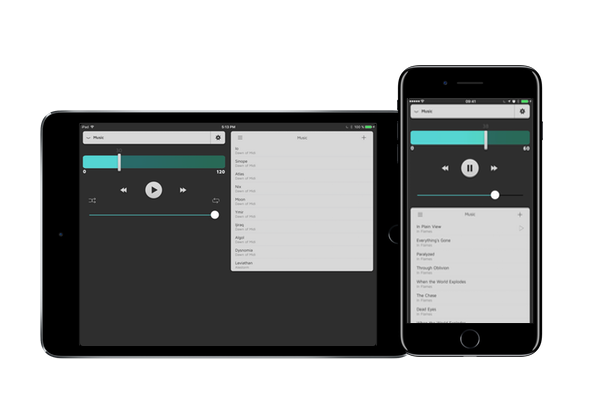 There are a lot of changes in this release, most of them under the hood, but a few are quite visible such as the completely revisited design throughout the app. The behavior for playing in background has been changed as well. Before it kept reducing the volume until you quite the app (remove the from your recent apps that is). Now the app quits automatically as soon as you pause the music (if it’s running in background). If you don’t already have the app you can get it here: App Store. The sleep timer app Dozzzer got featured by Apple this week as “App of the week” in Austria, Germany and Switzerland. It’s a great to get the attention and I feel honored to occupy the most prominent space in the App Store.